Behind the scenes this week, I have been working on This & That's Mystery Monday 8! It's been a fun little quilt to put together. 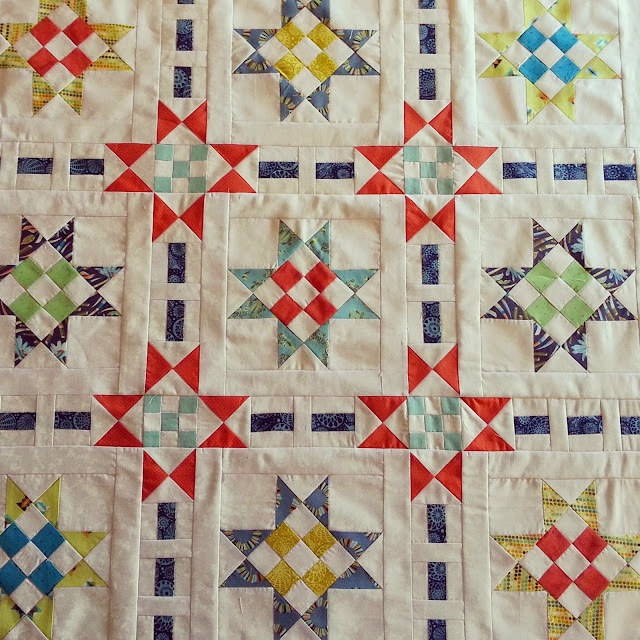 When I almost had the center completed, the blocks were doubled to make it a larger quilt instead of a wall-hanging. There are still borders to be put on and a backing put together from the left-over bits. Using this lovely Tula Pink Acadia line I picked up last year for my Birthday from Westwood Acres. 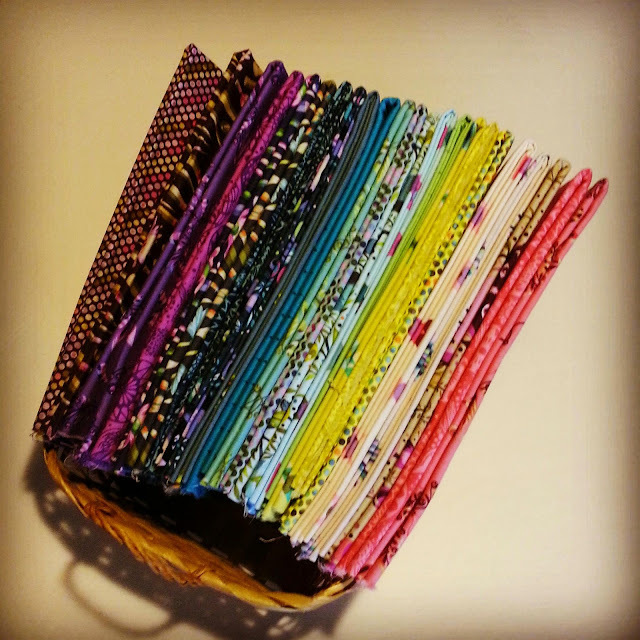 I am trying to let go, cut into my favorite fabrics and simply enjoy it all, not just hoard! I LOVE the sashing idea!!! That is a great looking quilt.